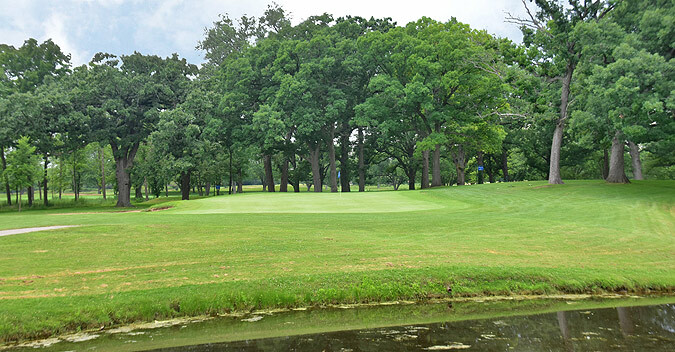 With the help of local golf architect Robert McIntosh, the founding Coghill brothers opened the original Cog Hill No. 1 on the 4th of July weekend in 1927 to rave reviews. 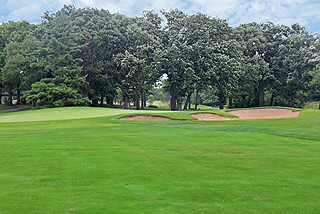 In 1963, in order to add a third course, designers broke up the original 18, to allow both #1 and #3 to start and finish at the original clubhouse. 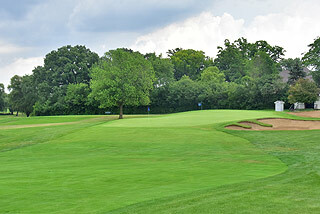 Since then, #1 is composed of the first four holes of the front nine, plus nine new holes, and then return to the clubhouse on the last five holes of the original front nine. 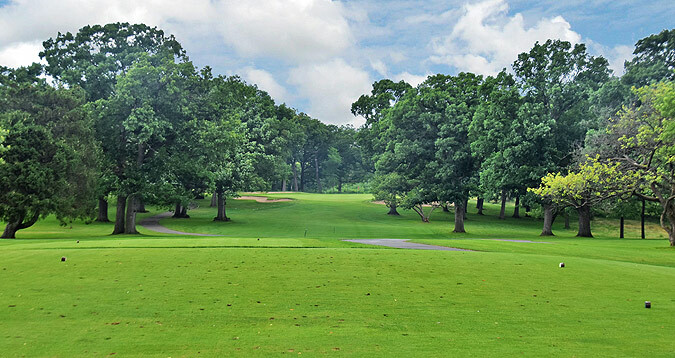 The layout routes through gently rolling, wooden terrain and offers a nice blend of lengths and difficulty, requiring a range of shot-making ability. The courses at Cog Hill are sufficiently marked with color coded stakes as yardage indicators - red for 100, white for 150 and blue for 200 yards away. 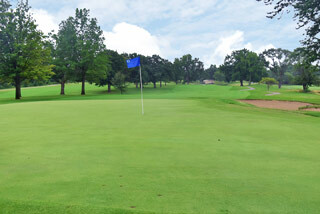 Daily pin placement sheets provide hole locations, and the tee areas are marked with GAM's. 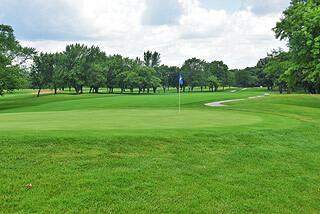 At course #1, 31 Bunkers are strategically located near greens and fairways, and water comes into play on 3 holes. 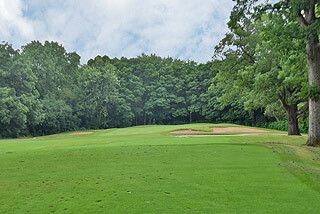 The course features enough sand, woods, and water to test the accomplished player without punishing the beginner. 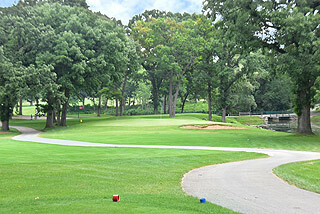 The course has 4 tee boxes to choose from. 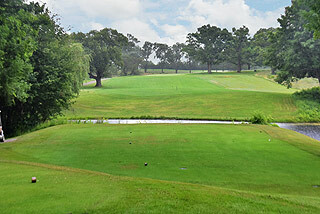 The yardages and slopes are: Forward tees- 5338 yards with a slope of 120 for women / 109for men. White tees- 5754 yards, 125 women/114 men. Blue tees 6005 yards, 128 women/117 men. Black tees 6318 yards, 120 slope. 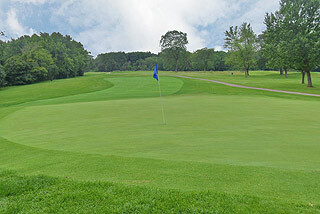 Click here for the Two Guys Who Golf detailed information page containing a link to the Cog Hill Golf Club's website.